Managing Successful Programmes (MSP) offers a proven set of practices and principles for successful programme management. 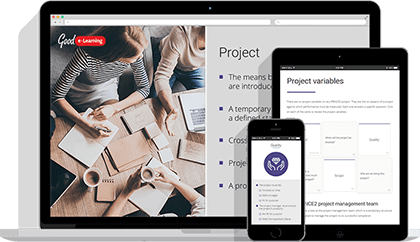 It helps users to break complex programmes down into straightforward and clarified projects which, once completed and combined, are worth more than the sum of their parts. 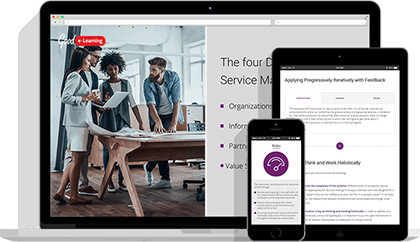 This approach enables organizations to achieve high-priority business goals on time, within budget and with a higher level of quality. 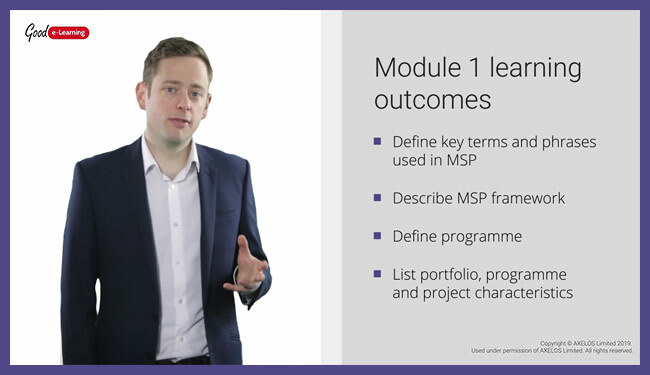 This MSP Foundation course offers an excellent introduction to MSP project management. 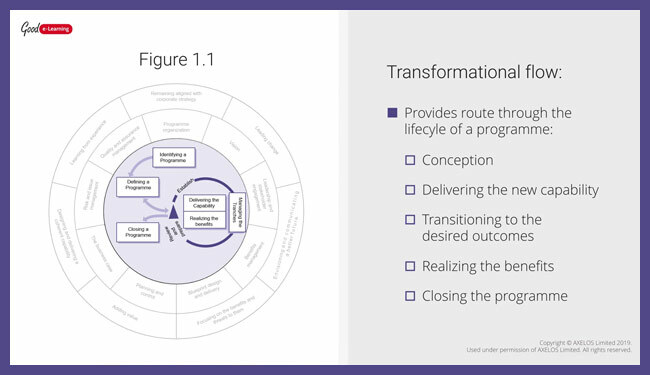 Students will become familiar with the processes, principles and governance themes that make up MSP, along with the six MSP Transformational Flow Processes. This will allow them to make valuable contributions to programme management teams in an MSP environment. By the end of the course, students will be fully prepared to sit and pass the MSP Foundation examination. Students will also receive a FREE exam voucher for the official exam. Earning the MSP Foundation certification is a prerequisite for taking the MSP Practitioner examination. MSP project management goes beyond standard assembly-line thinking. 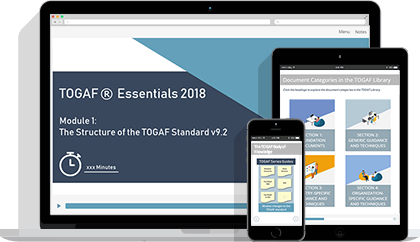 It offers guidance on a number of crucial points, such as clarifying lines of communication and responsibilities, planning results-oriented tasks, risk and change management, and more. 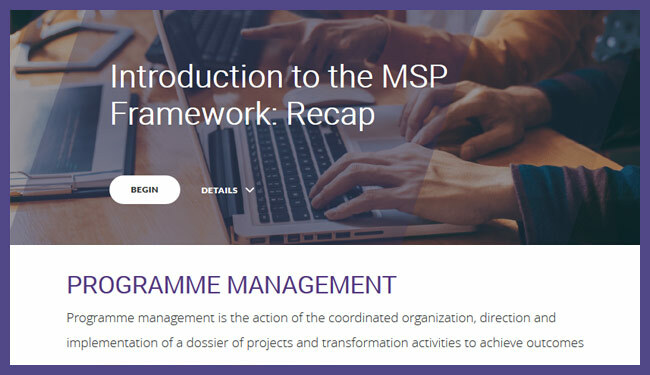 This course is designed to fully prepare you to sit and pass the MSP Foundation examination and equips students with a clear overview of MSP processes, as well as how to apply and adapt them for individual programmes. On passing the MSP Foundation examination, students will be ready to make valuable contributions to programme management teams within their own organizations. One of the biggest benefits of MSP is its flexibility. It can be applied to any programme, regardless of size, sector, industry or location. At the same time, MSP also encourages users to learn from their mistakes, allowing them to continuously improve and adapt their plans as they go along. All examinable content for the MSP Foundation examination in-order to pass first time! 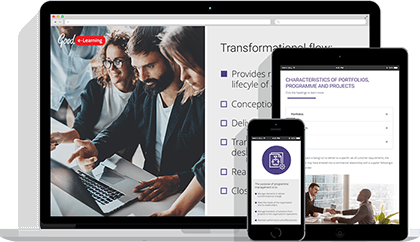 This module provides an introduction to this Managing Successful Programmes (MSP) Foundation course, as well as MSP itself. What is it? What is it used for? What makes MSP so unique? 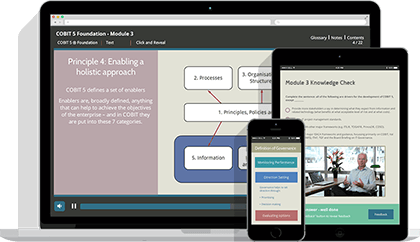 The module will also outline the learning aims and objectives for the rest of the course. Students will learn to identify the most important roles in MSP governance: the Senior Responsible Owner (SRO), Programme Manager, Business Change Manager (BCM) and the Programme Office. They will also study the characteristics of MSP strategies and plans. 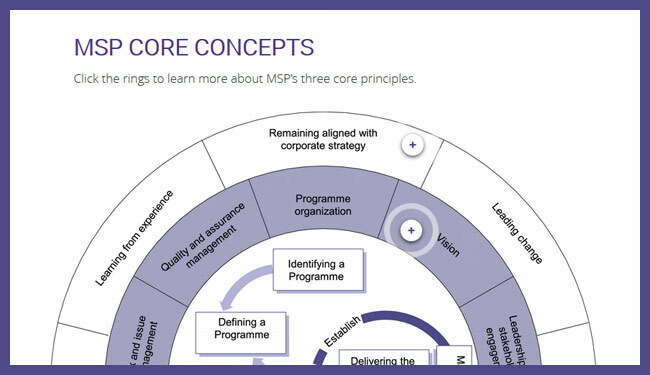 This module will go into more detail about the roles defined in MSP: the Sponsoring Group, SRO, Programme Board, Programme Manager, BCM(s), Business Change Team and the Programme Office. This will include the typical membership found in the Sponsoring Group and Programme Board, the core functions and two distinct roles of the Programme Office, and the three features of an effectively organised MSP programme. 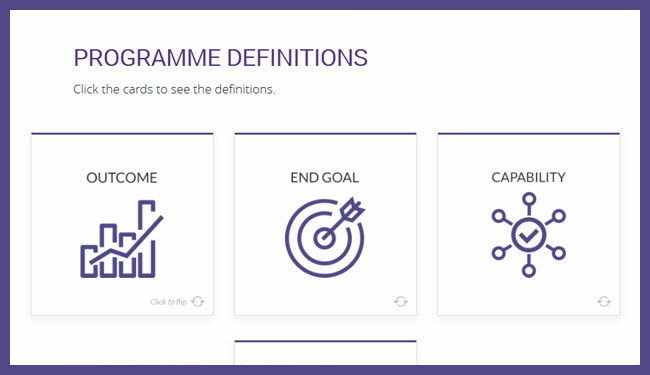 By the end of the module, students will be able to identify the purpose and responsibilities of the Sponsoring Group, Programme Board, SRO(s), Programme Manager, BCM(s), Business Change Team and Programme Office. They will also be able to recite the purpose of the MSP organisation structure. 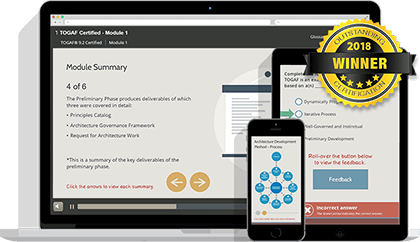 This module will cover the purpose and content of an MSP ‘Vision Statement’. Students will learn to identify the characteristics of a well-made vision statement and the types of content that they contain. The module will also cover the main areas of focus for the ‘Vision’ Governance Theme in relation to the SRO(s), Programme Manager and BCM(s). This module will cover the topic of stakeholders, the role they play in MSP programmes and how programme managers must interact with them. Students will come to understand the importance of stakeholders to a programme and the impact it can have on them, depending on the level and type of stakeholder. The module will also cover the communication process, with students learning the four core elements of successful communication, how to make messages more effective and how to ensure stakeholder participation even with non-participative media. The module will focus on the Governance Theme of ‘Leadership and Stakeholder Engagement’, as well as how it relates to the roles of SRO(s), Programme Managers, BCM(s) and Programme Offices. 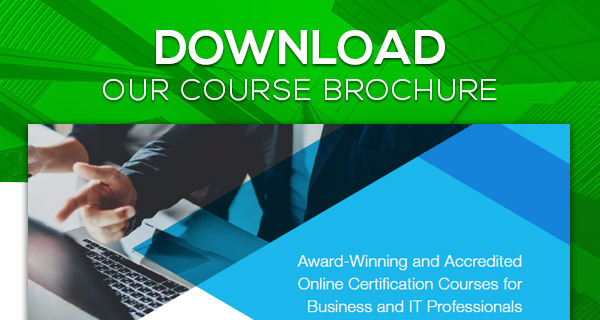 This module covers the Benefits Management practices of MSP. Students will learn to identify the four critical validation tests of a ‘benefit’ (DOAM), as well as how benefits are best described using change terms. Students will also come to understand how to identify the outputs, capabilities, outcomes, benefits and disbenefits in given programmes. They will also learn the purpose and activities of each step of the generic four-step cycle for managing benefits on any programme. 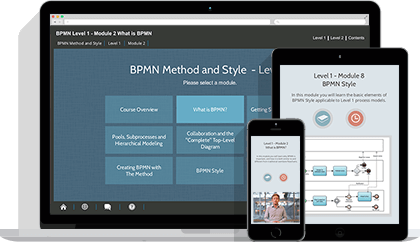 The module will then move on to the purpose of the benefits map and benefits profiles, and the content typically found within them. By the end of the module, students will be familiar with the main areas of focus for the Governance Theme of ‘Benefits Realisation Management’ in relation to SRO(s), Programme Managers, BCM(s) and Programme Offices. They will also understand the reasons why benefits management can continue beyond the conclusion of a programme. This module covers the design and delivery of blueprints, with particular focus on ‘POTI’ models (Processes, Organisation, Technology and Information). 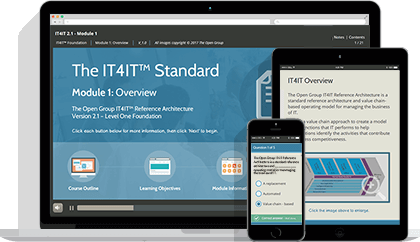 Students will learn the definition of each element of POTI models, as well as the purpose and types of content typically found in MSP blueprints. They will also learn the specific purposes of tranches and work streams. The module will also focus on the Governance Theme of ‘Blueprint Design and Delivery’, and how it relates to SRO(s), BCM(s), Programme Managers and Programme Offices. 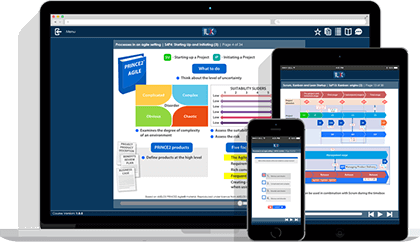 This module covers the importance of programme planning and programme control. Students will look at the definition of ‘resources’ in MSP and how they relate to the Governance Theme of ‘Planning and Control’. The module will also cover the roles of SRO(s), Programme Managers, BCM(s) and Programme Offices in relation to Planning and Control. Students will learn the purpose of monitoring and controlling strategy, programme plans, projects dossiers, resource management plans and resource management strategies, as well as the content that is typically found in project dossiers. They will come to understand the ways in which live projects are monitored, and the three types of dependencies that must be managed during a programme. 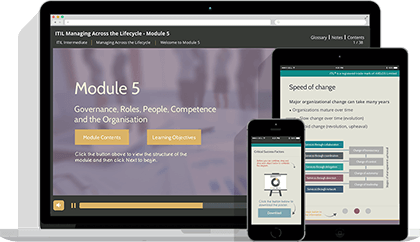 This module focuses on the ‘Business Case’ Governance Theme. Students will learn to identify the purpose and types of content found in a typical business case, as well as the questions which it must be able to answer during the life cycle of a programme. The different types of programme costs will also be identified and explained. Students will also focus on the roles played by SRO(s), Programme Managers, BCM(s) and Programme Offices in relation to the Business Case Governance Theme. This module covers the Governance Theme of ‘Risk Management and Issue Resolution’. Students will learn to define ‘risk’, ‘issue’ and ‘configuration item’, while also learning the defined risk responses of MSP. They will also become familiar with the three perspectives associated with managing programme issues and risks. The roles of SRO(s), Programme Managers, BCM(s) and Programme Offices in relation to Risk Management and Issue Resolution will also be covered. This module looks at how MSP practitioners can ensure that programmes are delivered with optimum quality. This will include a look at auditing, as well as the effectiveness of measurements, assurance reviews, P3M3 maturity assessments and gated reviews. Students will also cover the roles of SRO(s), Programme Managers, BCM(s) and Programme Offices in relation to the MSP Governance Theme of Quality Management. 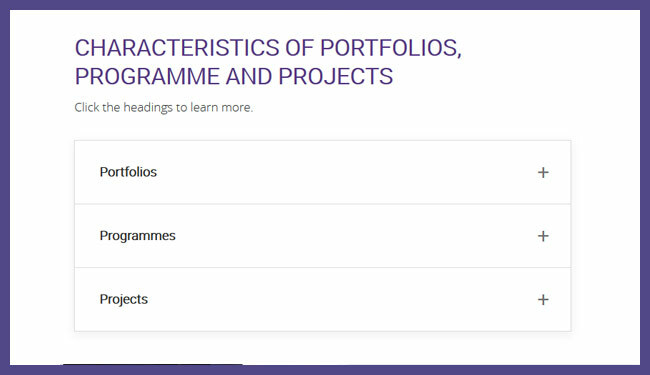 By the end of the module, students will know the purpose and types of content found in the programme mandate, programme brief and the programme definition document. They will also learn the purpose of the programme preparation plan and project brief. Finally, students will know the tests for programme closure and the reasoning behind the Transformational Flow Process of ‘Closing a Programme’. In order to achieve your MSP Foundation certification, you will need to pass the MSP Foundation examination. Earning an MSP Foundation certification is also a prerequisite for sitting the MSP Practitioner examination. You can take your exam online (virtually) at any time using the service provided by PeopleCert. You are advised to take this online test to ensure that your microphone, webcam and internet connection are suitable for PeopleCert online exams. 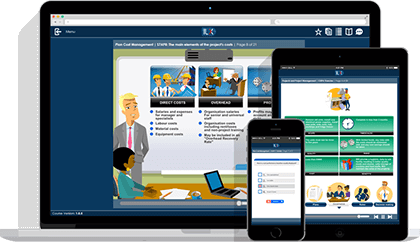 Good e-Learning will also provide a FREE exam voucher for when you are ready to sit the real thing. When you have completed this course, you will be ready to start preparing for the MSP Foundation exam. To support you with your preparations, this course contains a practice exam to simulate the conditions of the real thing. The MSP Foundation examination is a closed-book multiple choice exam. There are 75 questions, with one mark available for every correct answer and 70 marks available in total (five questions are trial questions which will not be counted towards a participant’s final score). Students will have 60 minutes to complete the exam. In order to pass, students must earn at least 35 marks out of the 70 available (50%).